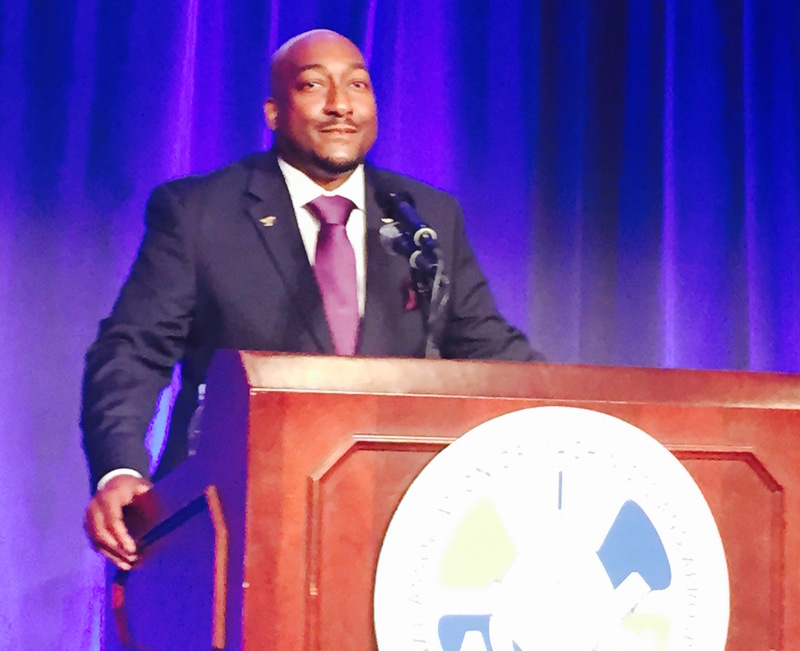 17-year Delta Flight Attendant, Spencer Hayes, addresses the 2015 IAM Transportation Conference. Atlanta-based Delta Flight Attendant Spencer Hayes today electrified the more than 600 delegates at the IAM's bi-annual Transportation Conference. Hayes, a 17-year Flight Attendant, updated the delegates on the great progress that has been made since Delta Flight Attendants began collecting election authorization cards less than 12 weeks ago. "I urge all Delta Flight Attendants to sign their a-cards today, so we will be here as delegates at the IAM's next Transportation Conference," said Hayes. "We will have our vote and one day we will have our own contract at Delta Air Lines." "We stand with the Delta Flight Attendants," said IAM General Vice President Sito Pantoja. "Together with the Delta Flight Attendants, we will ultimately win." Delegates rose to their feet in support of the largest organizing campaign in the world and International Transport Federation (ITF) General Secretary Steven Cotton vowed continuing the support of 4.5 million ITF members. Please view the video below that was played at the conference.